Butcher: Here you go, here’s your bologna and your cheeses. Customer, with toddler on her hip: Thank you, ma’am. Butcher: Now you go on home now and clean that baby up, you hear me? He is filthy! His feet are black as tar! You go home and put him in the bath and don’t you EVER bring that baby out of the house looking like that again! Customer: Yes ma’am. I will. I mean…uh… I won’t…. Thank you, ma’am. Butcher’s Daughter: Who was that lady, mom? Husband of Deceased: Thanks for coming, Betty Jo. It’s been a real long day. Boy, I sure am gonna miss her. Betty Jo: Well… you know she wasn’t nothin’ but an old whore. Husband of Deceased: Yeah, I know, but I loved her. Sure will miss her. Good to seeya, Jo. Thanks again for coming. But the weird thing about her was this: no matter what she said to anyone, they just agreed with her. It was freaky. Whatever it was, good or bad, no one seemed to be able to argue with what she said. Maybe it was because she just stated the obvious. Or maybe it was because she was plumb crazy. I guess I’ll never know since there was no one around to compare with. Betty Jo was born in Turkey Creek, KY. Her parents were poor, like everyone else in their universe. 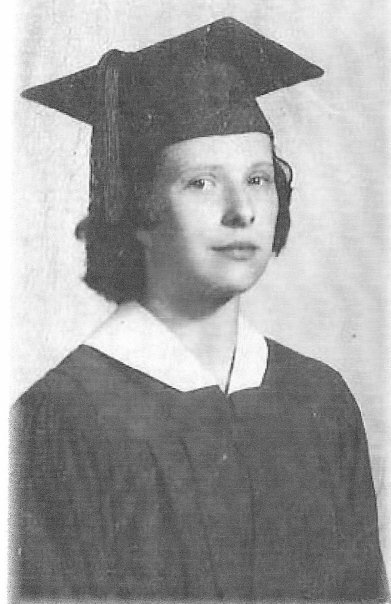 She had to quit school after 8th grade because the books were too expensive and so were the clothes to wear. And besides, she needed to go to work to help support the family. 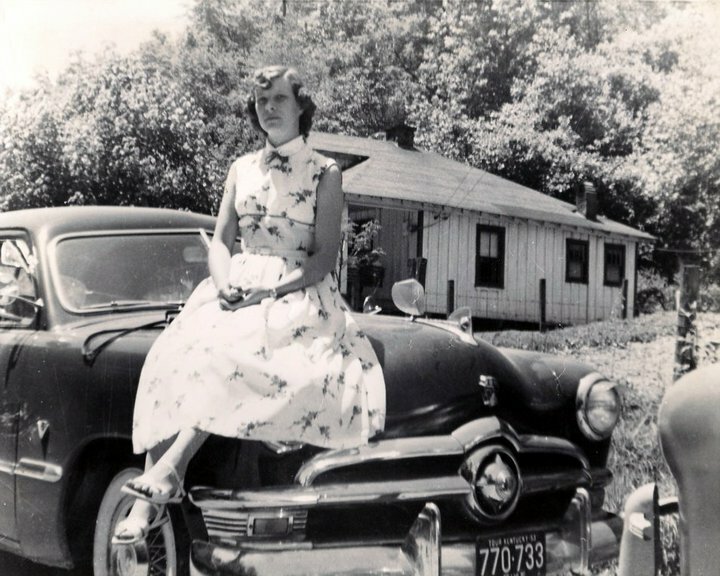 She was a real-life coal miner’s daughter, and my Papaw had the black lungs to prove it. She and my dad married young, had 7 kids over a span of 23 years, and I was lucky number seven. She gave birth to me when she was 42 years old. You just didn’t do that back in the 70’s. The way my mom told it, the doctor warned her that either the baby would die or she would die during childbirth. Didn’t faze her a bit. Betty Jo told him that if God saw fit to give her a baby when she was 42 years old there must be a good reason. And here I am, 38 years later, doing just fine. Well, fine is a relative term, I guess. My momma’s life ended on December 22, 2011. It was a Thursday. It was her 76th birthday. I was in Target picking up last-minute items for my trip to India that was happening in just a few days. Right after that I was headed to Ari’s Diner to pick up gyros and baklava to surprise her with a birthday lunch. Before I was halfway to her, she was already gone. Nothing has been the same in my life since that day. I always knew that losing my momma would be hard, but I never imagined the extent to which I would miss her. I never imagined I could miss anyone or anything this much. This missing is by far the heaviest thing I’ve ever carried. Mostly it catches me in the small moments. When I make a batch of her iron-skillet cornbread. When I see an Avon catalog, which is where she always purchased her perfume. When I see something pretty she would have enjoyed, like a beaded table runner or some flowery stationery. She said you should always be prepared to send a nice card if you need to. My momma was a butcher at that little grocery store for about 15 years. It was kind of a strange job for a mom to have. But then again, it had its perks. I got to take a cow brain in for show-and-tell once. (Wonder why I didn’t have a lot of friends??) Sometimes my mom would cut off a thin slice of Colby cheese and give it to me as an after-school snack, and I would walk around the store holding up that big, floppy circle of cheese above my head and taking bites off the bottom. What a little weirdo. She thanked the Good Lord and cussed like a sailor. She smoked three packs of Salem Lights 100s a day until she had to be on oxygen full-time. She looked through all the sale papers every Sunday. She loved Conway Twitty so much that she sobbed like she’d lost one of her own children the day he died. She was so ironic it was just silly sometimes. I put that lady through a lot. Can you imagine how tired she must have been after raising 7 kids, with a good part of the final stretch completely on her own? Dang. I’m exhausted just thinking about it. But I had a great childhood. My dad passed away when I was barely five years old, but I don’t feel like I missed out on a thing. She must have been a miracle worker, because we never had much money but I always had great memories. I never lacked a thing. I picked up a lot of things from being around my mom. Some bad habits, but mostly good things. I still worry that I wasn’t a good enough daughter. I pray that something in my life made her proud of me. And I wish in a thousand ways that I could have just a few more minutes with her to listen to her gripe about the loud neighbors. I’d be more than happy to go get 10 for $10 of something I doubt she’d ever need from Kroger. I would give anything to sit with her and listen as she yelled at the TV screen as if the football players on either team were taking her advice. Your family is your family no matter what. But as for Your People…blood is no prerequisite. But my momma…She was My People. Always will be. I know there’s someone just like her in the ones you call Your People. Blood or not, you’ve got someone who mothers you and has your heart as fully as Betty Jo had mine. If she’s still with you, take a moment to tell her how awesome she is. Thank her for the ways she made you into the person you are today. Spend some time just doing whatever she’d like to do. Because right now is the only chance you have to show her how important she is to you. This Butcher’s Daughter knows that all too well. Thank you for sharing your momma with us. I can see her in so much that you do.